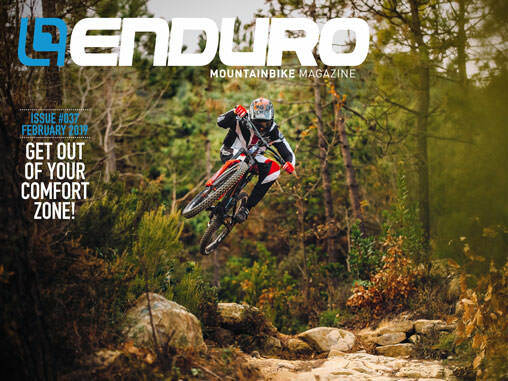 The Orange Five has always been the iconic British made trail bike. Its simplicity and reliability attract many, and over the years it has gathered a cult-like following. 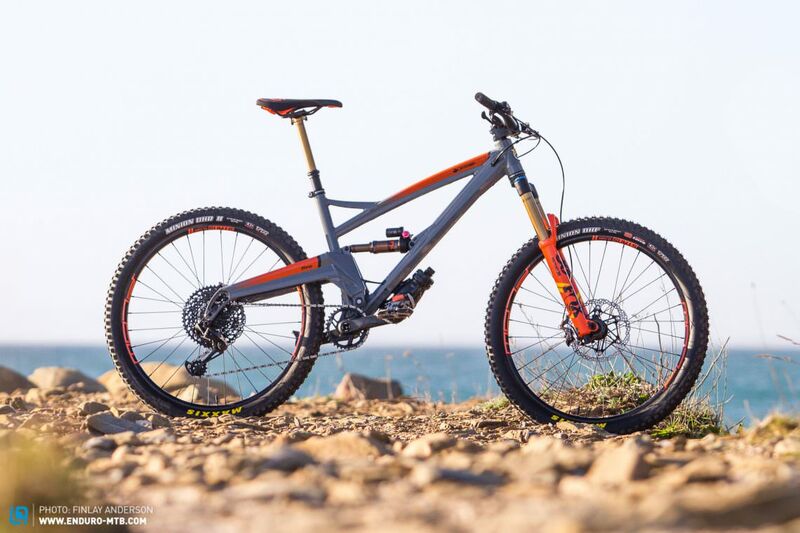 However, the new Orange Five takes a step away from the trail geometry of its previous incarnations and has undergone a number of evolutionary changes. How does it ride? We flew to Punta Ala to find out. What’s new with the Orange Five? The new Orange 5 can be described as the same, but different. 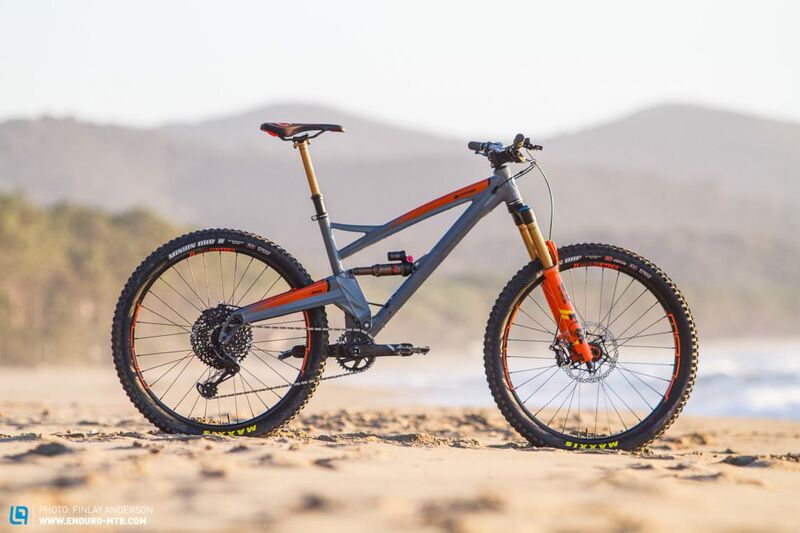 Orange have kept their classic silhouette and from a distance, the new Five looks very similar to previous iterations. However, like the new Alpine 6, the new Orange Five has undergone some evolutionary changes in order to bring it up to date with its competition. On the surface, not all that much has changed. 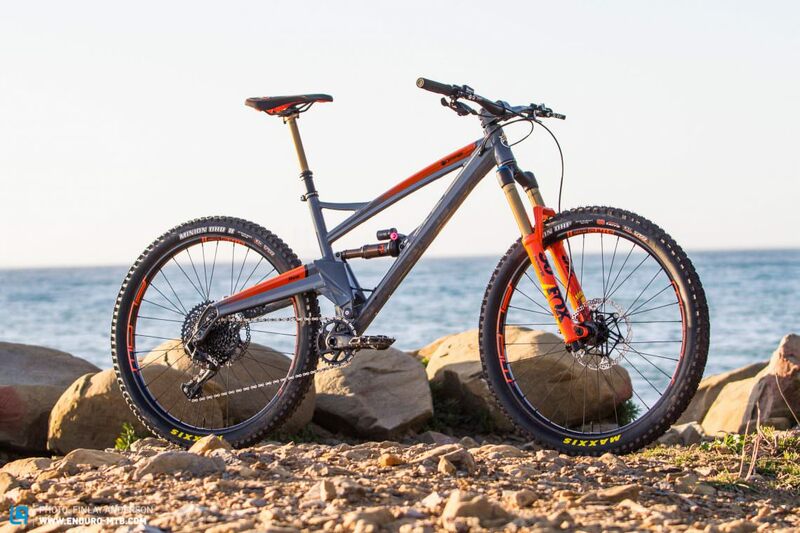 The new Orange Five will be available in a variety of frame colours and you can pick and choose the decal colour to match. 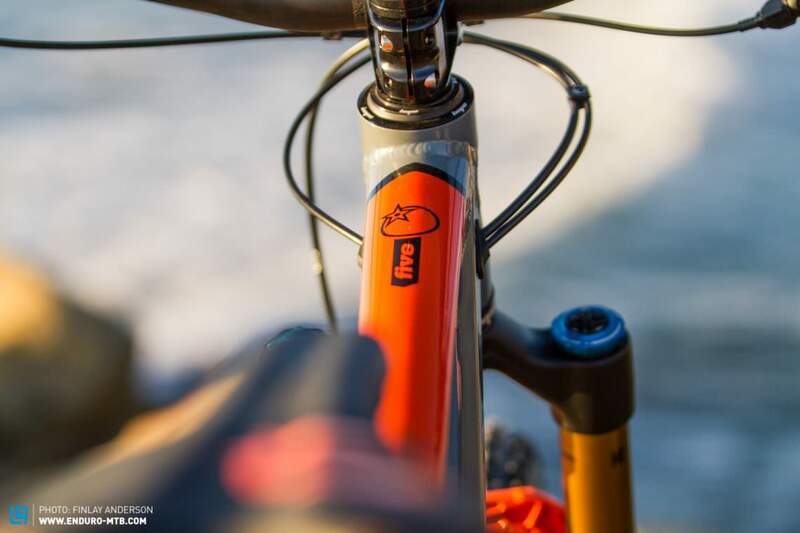 Like the new Alpine 6, the decals of the Orange Five will be covered by a layer of lacquer that adds protection from scrapes and scratches as well as looking amazing. Under the surface, a lot has changed. 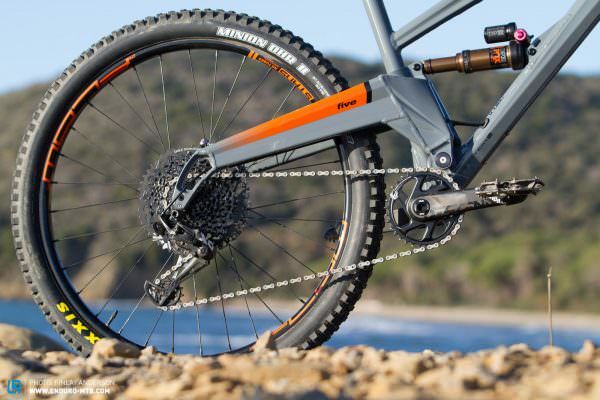 The new Orange Five now features a metric sized shock and a 5mm increase in rear wheel travel, taking it to 145mm. This increase in travel is made possible by a revised shock mount and pivot location. 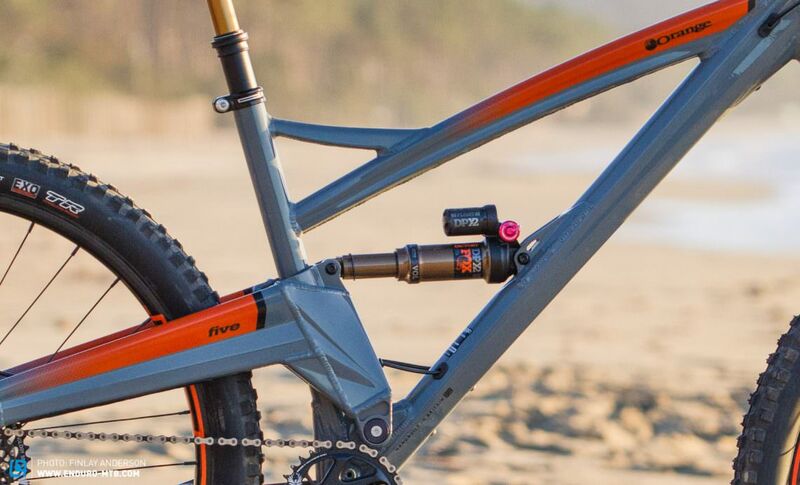 The pivot itself has been widened by 5 mm on each side, which Orange claim adds stiffness to the swingarm and increases tire clearance. The swingarm has also undergone some changes to lighten it up. 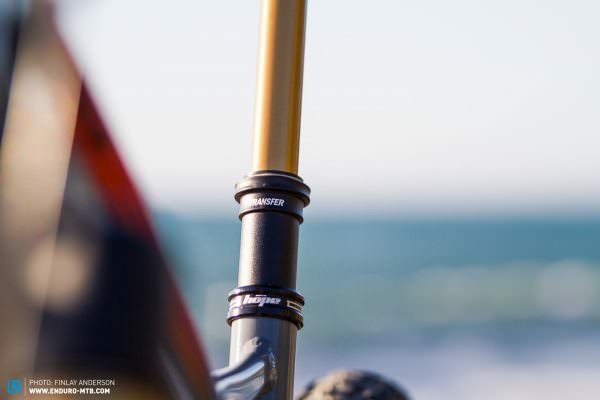 The new Orange Five also features bottle bosses on the underside of the downtube. Although this is not the ideal location for a water bottle, it is good to see Orange finally giving riders the option to carry hydration or tools on their bike. 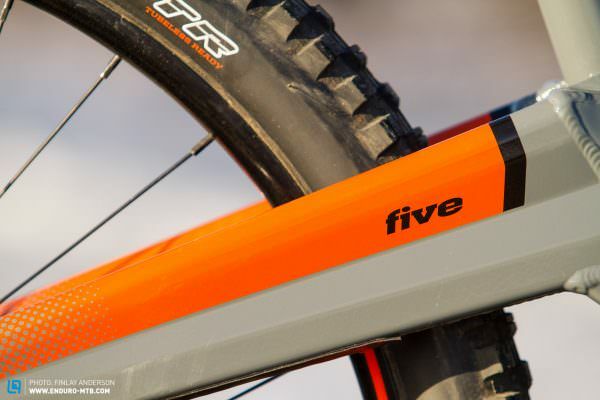 With their new Five, Orange have followed the popular longer, lower and slacker trend. The head angle has been slackened by a degree to 65°, and the reach has been increased by nearly 10 mm to 467 mm in a size Large, while the wheelbase grows by over 18 mm to 1217 mm in size Large. However, just like the new Alpine 6, the only thing that has not changed is the slack 74° seat angle. The sizing of the new Orange Five has been completely revised. The XS size is no longer available, and an XXL size has been introduced. 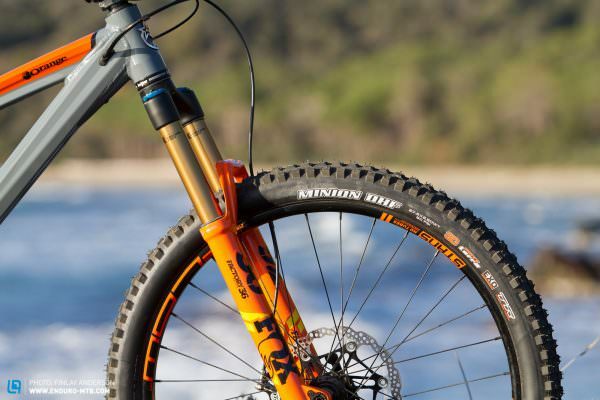 Both the Small and XL sizes have lost 25mm from the seat tube height, meaning riders who were previously on an XS Orange Five can ride a size Small, and taller riders who rode a size Large can now size up for reach without worrying about the seat tube getting in the way.